The Acting Inspector General of Police, Alhaji Muhammed Abubakar Adamu has long distinguished himself, only waiting to be appointed as the IG, sources close to the police force has revealed to SecretReporters and this was known by the immediate past IGP Ibrahim Kpotun Idris, an act which he saw as a threat. 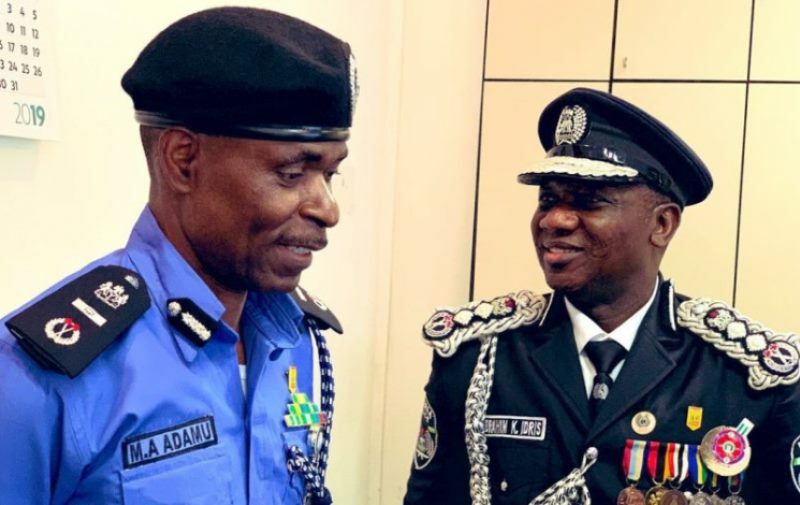 According to competent sources, the now Acting IGP, Adamu had his phone line bugged by Mr Idris, to enable him to know those he’s close to in the corridors of power as well as listen to every important communication. This act which was done while Adamu served as Enugu State Commissioner of Police was not unknown to him, but he refused to change the line, to avoid indirect battle and excess security scrutiny on him by Idris loyal boys. We gathered that the controversial past IG dreaded Adamu’s profile and did all he could, to stop his appointment while extending his tenure, allegedly using the Etsu of Nupe, who is his godfather. This action by Idris will not go unpunished stated a source and it has already started. The first strike towards neutralizing Idris footprints from the force was the stopping of the handover of the Lagos State CP to the new one posted by Idris, two days before his removal as well as the removal of Jimoh Moshood as the Police Public Relations Officer and replaced with the more knowledgeable Frank Mba. The new police boss according to competent sources noted that Idris brought unprofessionalism to the police force and will bring back the police to its original aim.